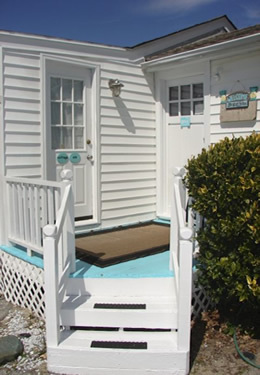 Located directly across the street from the beach and all but a 2-minute walk to the sand, our vacation cottage rentals in Carolina Beach, North Carolina are a nice alternative to a motel stay. Please take a few moments to review all of our policies (standard, pet, reservation, deposit, payment and cancellation) below and book the one that best fits your needs. Check in is between 4:00 PM and 7:00 PM. We greatly depend upon the accuracy of the arrival time stated in your reservation. If you will be arriving later than 7:00 PM, please provide the time frame in the notes section of your reservation. We can accommodate late arrivals up until 9:00 PM. If your arrival time is later than 9:00 PM, a self check-in packet can be made available. It’s very important to update us should your arrival time change. MAXIMUM occupancy for cottage 1 & 2 is four individuals and MAXIMUM occupancy for cottage 3 is five individuals. This includes any children or babies. Reservations will not be honored for parties larger than maximum occupancy. 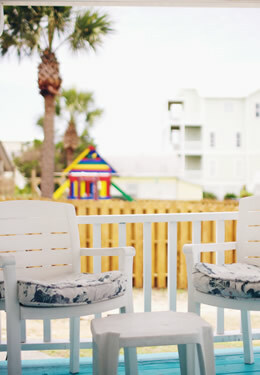 Vacation Rental Cottages 1 & 2 have a 2-night minimum stay year round and a 3-night minimum on summer holiday weekends. Cottage 3 requires a three (3) night minimum during high season and summer holiday weekends. Breakfast and linens are not included with our vacation cottage rentals. If you do not wish to bring your own linens(sheets, pillow cases, bath+hand towels, wash cloths, etc.) you can rent them from us for a flat rate of $40 + tax. Please add-on “beach cottage linen rental” before checking out and completing your reservation. Select “bringing our own” at checkout to B.Y.O.L. Failure to bring your own linens and not take advantage of our linen rental package will result in an additional $80 + tax laundry / cleaning fee. Guests making reservations must be at least 21 years old and have a major credit card. Same day reservations are not accepted online, must be approved via phone reservation prior to arrival, and are based upon availability. During high season, same day reservations are not accepted after 3:00 PM. During all other seasons, same day reservations are not accepted after 6:00 PM. We have “unhosted” office hours and advanced reservations are highly recommended. We strive to provide a smoke free environment and our cottages are non-smoking accommodations. Smoking is only permitted outside with respect to the proximity of the cottages and our other guests. A $500 fee will be incurred for smoking inside the inn or cottages. Please be respectful and empty any and all ashtrays daily. Our cozy cottages are more suited to small families looking for a beach retreat and are not a location for large groups or loud parties. In addition, if you are traveling as adults only and your goal was to be in the NBA or NFL, our cottages are not recommended. To ensure the comfort and safety of all guests, non-registered guest(s) without reservations; i.e. visitors, are not permitted on the property. If you wish to have a visitor(s) you MUST get approval prior to their arrival. To maintain a relaxing atmosphere we ask that noise be kept to a minimum after 10:00 PM. We provide one parking spot per reservation. If anyone in the reservation party is bringing more than one vehicle, you must inform us prior to arrival to make the appropriate arrangements as our lot has a maximum number of spaces and parking is at a premium in Carolina Beach. Failure to inform the Inn of multiple vehicles will result in the possibility of finding parking elsewhere offsite in one of the municipal pay lots. Smaller vehicles are always recommended and navigate more freely on the Island. Unfortunately, we are unable to accommodate parking for early arrivals prior to check in. There is a public parking lot 1 block north of the Inn on Canal Drive at the Sandpiper Public Access for your convenience. MAXIMUM number of dogs allowed in each cottage is two. 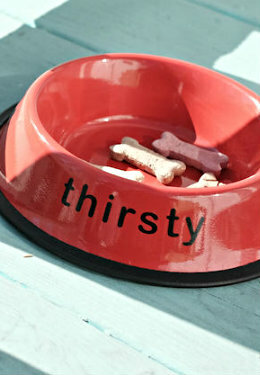 The pet fee is $25 per pet per night. Owners must crate their dog(s) when away from their cottage. Please be courteous and clean up after your pet. We love all dogs; however, we cannot accept aggressive and/or unsocialized dogs (as well as fully “intact” males) as there are children and other dogs on our property. Please indicate the breed and size/weight of the dog(s) when making your reservation. 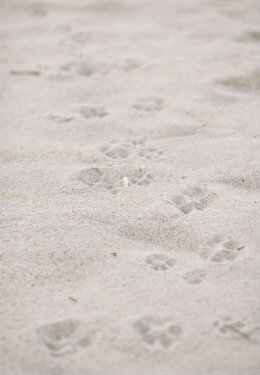 Please check town ordinance regarding dogs on the beach. Unfortunately, we are not feline friendly. To make a reservation, you must at least 21 years old and have a major credit card. Booking for another party must be approved prior to making a reservation. We reserve the right to decline a 3rd party booking. For your convenience, you can make a reservation directly from our website. For same day reservations, please call the inn. A 50% deposit is required at the time a reservation is made. The balance will be due upon arrival. Deposits will be charged to your credit card in which a confirmation will follow within 24hrs. We accept cash or credit cards – MasterCard, Visa, Discover and American Express. Unfortunately, we cannot accept checks. All room rates are pre-tax. 7% sales tax and 6% hotel tax will be applied to all bookings. All cancellations will be charged a $35.00 cancellation fee. Cancellations require a 10-day advance notice in which the deposit is refundable less the $35.00 cancellation fee per reservation/per cottage. The deposit can be credited toward a future stay within twelve months of the cancelled visit. Cancellations less than 10 days prior to arrival will forfeit the initial deposit and be charged the cancellation fee. Same day cancellations will be charged 50% of the remaining total balance plus the initial deposit. Early departures or no-shows are treated as same day cancellations. We ask that all cancellations be made by email or other written correspondence. Your booking via phone or online reservation with said deposit payment indicates acceptance of our cancellation policy. Guests residing at the Beacon House Inn Bed & Breakfast may choose to evacuate. In this case, we will charge only for those nights spent with us up to the time of the evacuation. For guests with pending arrivals, the deposit will be retained and credited toward a future stay. Canceling a vacation based upon a “pending” hurricane approaching our general area or immediately after a hurricane has passed through, standard cancellation policies apply.